Welcome to Delicieux! Here you will find graphics made for your pleasure by myself, Aiobhan. 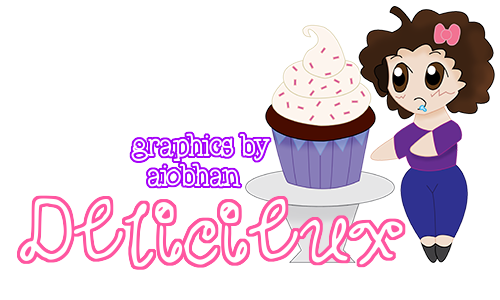 Delicieux offers custom buttons and adoptables and will soon feature custom graphics for layouts! You will also find my extensive pixel cupcake collection. To see my button work, please take a look at the Pick-Ups and Portfolio sections! All old buttons moved to Portfolio section. New layout! Pick up your orders here! Find your name/guild name, and simply save the images below it to your computer. These are all of the buttons I've made so far! To request a button, just fill out the form below and send me a Neomail! If you adopt one of my cupcakes, a link back would be wonderful!